Moritz Eggert was born in 1965 in Heidelberg. As a composer he is glad not to be pigeonholed into any of the usual categories, a fact that bewilders both avant-garde and classical concert audiences. To an extent unequalled by any other instrument, the piano can become a kind of �workshop� or �laboratory�. Almost anything can be realised on it, although it is limited in timbre and tone production compared to other instruments or an orchestra. But this is precisely the quality that turns it in the direction of musical abstraction � which can be of interest to composers. Free of specific ensemble requirements, compositional ideas can be tried out on the 88 keys in downright exemplary fashion. 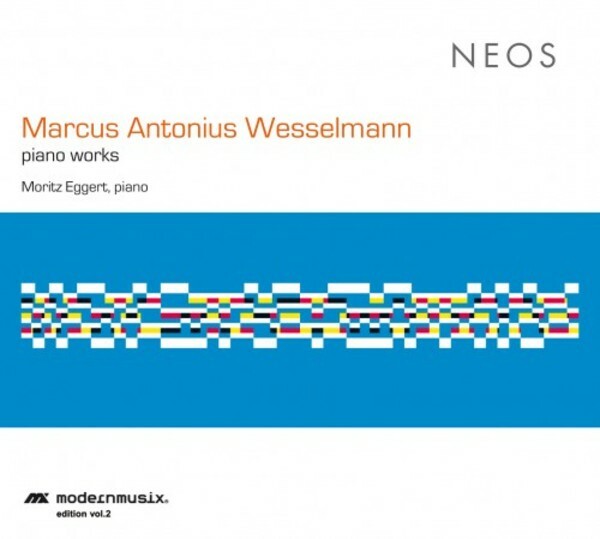 One could also regard the piano works of Marcus A Wesselmann on the present CD as a �compositional laboratory� of this kind.